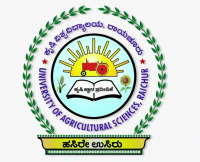 UAS Raichur Jobs Recruitment Notification 2019.University of Agricultural Sciences (UAS) Raichur inviting applications for the positions of Assistant Professor and Service Personnel.Interested and Eligible candidates can apply for the positions. Last Date for Submission of Application is on April 04th, 2019. Master’s Degree/ 10th Standard/ Graduate Degree/ 07th Standard/ equivalent from any recognized university/institution. Check more details of educational qualification in UAS Raichur official website given below. Check more details of age limitation in UAS Raichur official notification given below. Check more details of UAS Raichur selection process in official job advertisement given blelow. THE REGISTRAR, UNIVERSITY OF AGRICULTURAL SCIENCES, RAICHUR-584104(KARNATAKA). Offline Mode – By Indian Postal Order/ Demand Draft/ Banker’s cheque. Find the correct notification links and open it. Read the notification correctly to check your eligibility for UAS Raichur jobs 2019.